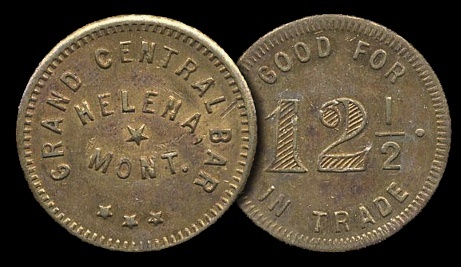 In 1913, the Grand Central was bought by James Edmund "Eddy" O'Connell (1886-1972), the founder of Eddy's Bakeries, and renamed the Eddy Hotel. 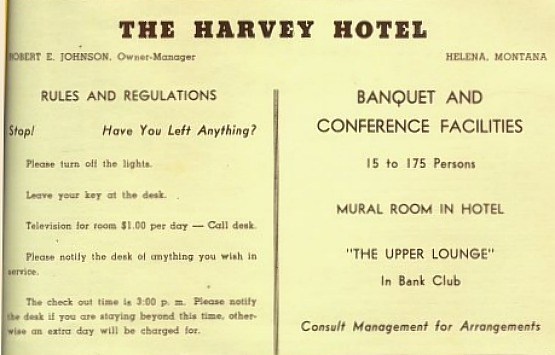 In 1919, it was bought by Harry Fister and William Barworth who renamed it the Harvey Hotel. 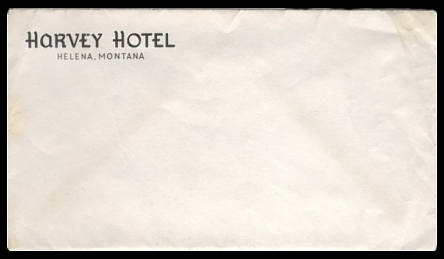 The hotel was heavily damaged in a 1927 fire, but was reopened in 1930. 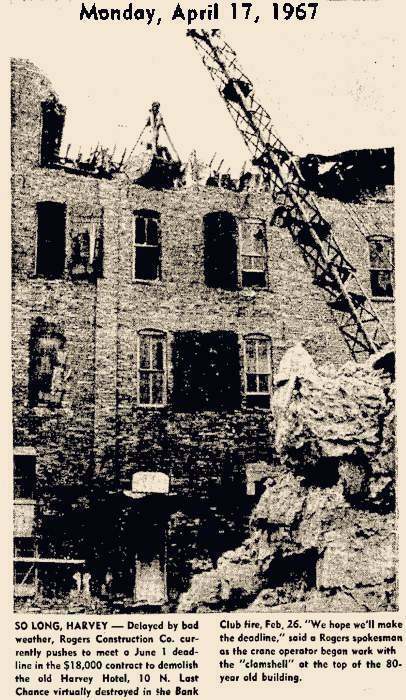 Another blaze in 1953 wrought significant damage, and the building finally succumbed to fire in 1967.
were hers. 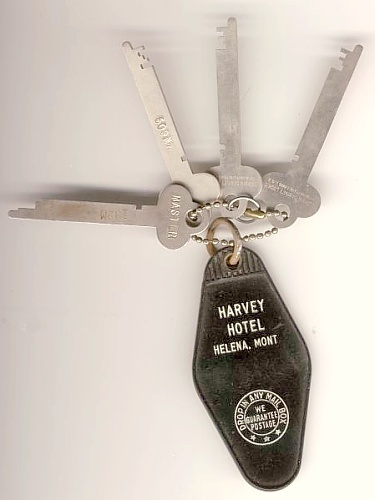 My husband's father also was the manager for several years at the hotel. "My husband is Wally Slayman and he said he was about 6 years old when it burned, so that may have been about 1965 [Feb. 26, 1967]. 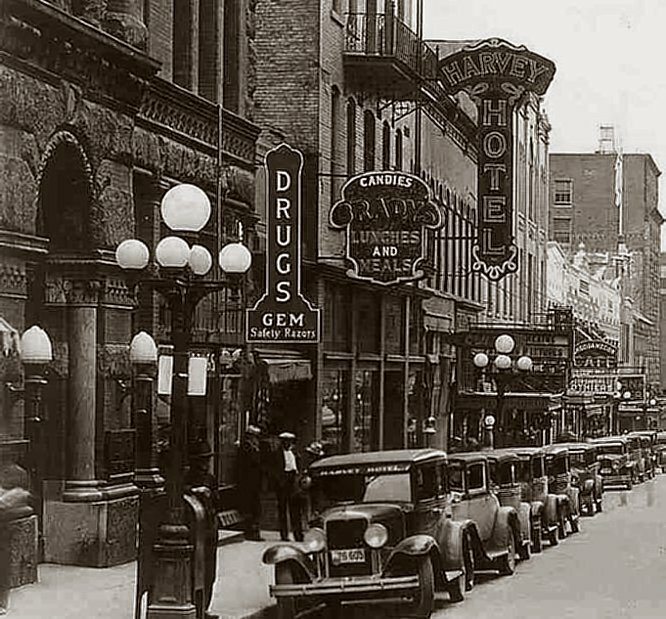 He used to hang around the hotel sometimes until his mom was done working, and the Woolworth store that was just down the street." 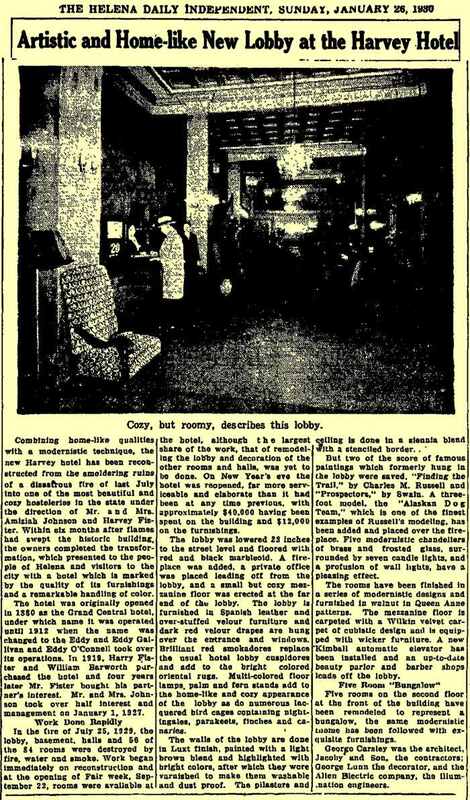 On May 19, 1953, faulty wiring sparked a fire in the basement of the building. It spread rapidly upward inside enclosed walls and framed pillars between the hotel and the cafe annex. About $100,000 damage was done (around $730,000 in today's money), and several Helena firemen were injured. 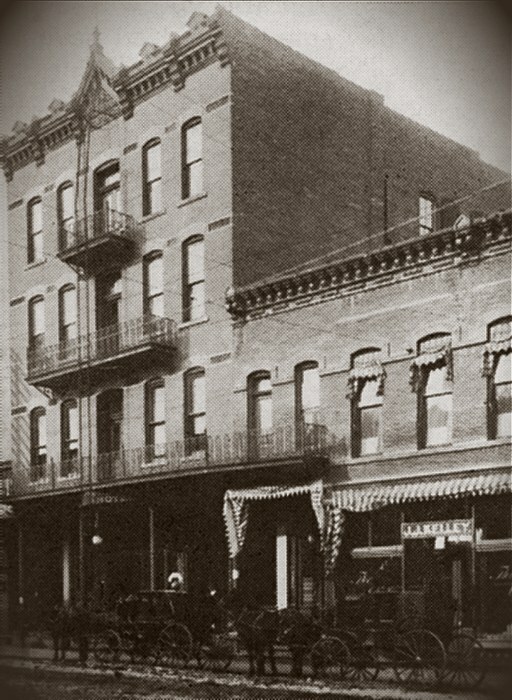 One hotel resident had to be brought out of the building by ladders, over the top of the Eddy Bakery on Edwards St. Adjacent business suffered smoke and water damage. 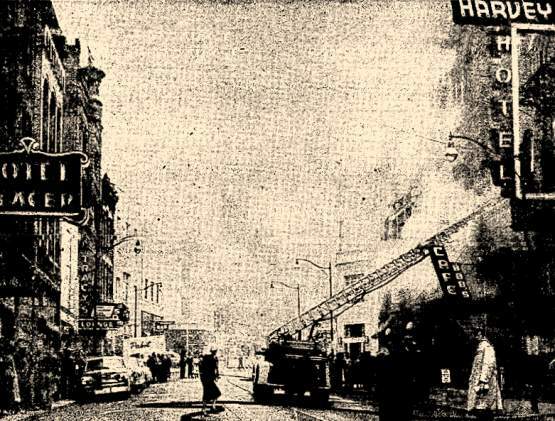 In the early morning hours of Feb. 26, 1967, a muffled explosion was heard in the basement of the Bank Club Lounge, which was housed in a two-story building just north of the Harvey Hotel. A fire erupted, raced upward, and destroyed the Bank Club building along with several adjacent businesses. 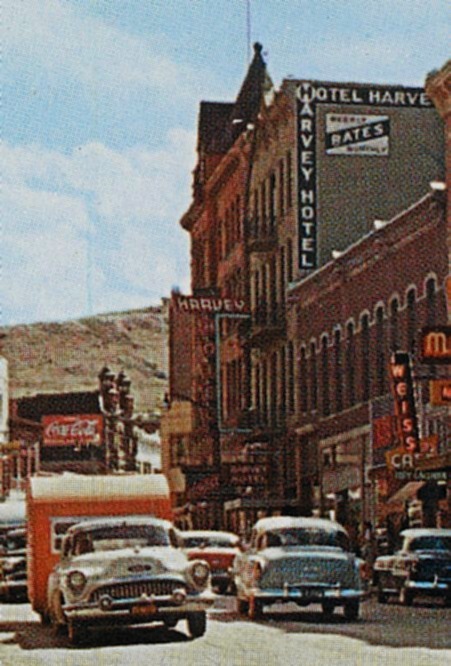 The Harvey Hotel was heavily damaged by heat and smoke, and the decision was made to demolish it.